After editing the high school newspaper, I worked my way through the last two years of my college journalism degree on an off-campus professional magazine. 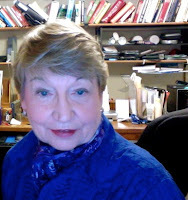 Then came a lifelong career in public relations, public affairs, association management, and manuscript editing. Telling the stories of organizations and issues and helping others to do so has been a satisfying occupation. Since retirement, I concentrate on telling the stories of characters which are a figment of my imagination. Occasionally, I write children’s books populated by animals and real life objects to spark the imagination of toddlers and young readers. IAN: Please tell us about your latest book Her Man in Sorrento. Ann Streetman: Sarah Millerman meets handsome Navy Commander Nathan Ferrari on the steps of a cathedral in Amalfi, Italy. Nathan is staying at his Aunt Alessa’s beach house in Sorrento, while he is on annual leave from Naval Base San Diego. Sarah’s vacation takes unexpected turns as breathtaking as the drive along the Amalfi coast. As Nathan puts it, “You’re an American on vacation. I am an American on vacation. It makes sense for us to have some fun together.” Sarah intends to keep the relationship light and flirty and uncomplicated, as they enjoy dinners under the stars at the beach house and day trips around the Amalfi coast. But it did get complicated. After the vacation, they continue an uneasy romance in San Diego. Both have been hurt by lost loves. Nathan is essentially married to the Navy. Sarah is focused on finishing her master’s degree in cybersecurity and snagging a great job wherever she wants to go. Is Nathan ready for a wife? Could Sarah ever be a Navy spouse? I hope IAN readers will come along for their romantic journey. 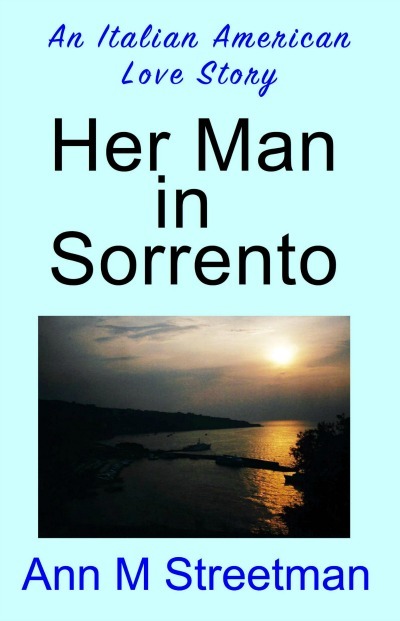 Ann Streetman: Her Man in Sorrento is available only in e-book format at this time. IAN: Where can we go to buy Her Man in Sorrento? Ann Streetman: Published in February, 2018, it is available only on Amazon https://www.amazon.com/dp/B079K5793C. After August 2018, it will be available on other popular e-book retail sites. IAN: What inspired you to write Her Man in Sorrento? Ann Streetman: I have a passion for writing about favorite places I’ve visited, Italian characters, and people who serve in the military and the people who love them. Her Man in Sorrento allowed me to exercise all three of these interests in one novel. How could I not write this novel? Ann Streetman: My regular writing process is using an outline, but I create the characters and the major places of action long before I begin the outline. In fact, the outline keeps changing right up to my beginning the last chapter of the first draft. As the characters interact, the plot details and the outline change. I am happiest on a day when my characters simply take control of the plot and send it in a direction I did not anticipate. That’s a good writing day. IAN: How long did it take to write Her Man in Sorrento? Ann Streetman: I worked on the book about six months. Ann Streetman: My writing style is concise. No flowery language here. Maybe it’s the journalist in me that won’t allow it. Besides that, I never want my “author words” to impede my reader’s interaction with the characters since it is the reader’s own imagination that makes the characters come alive. Settings are very important in my writing. It’s my job to make the reader experience the environment where a piece of action takes place. More often than not, I let one of the characters describe the details of the setting via his or her internal thoughts or through dialogue with another character. When a character describes the setting, the reader is also getting insight into that character. The description must be detailed and convey emotion that will arouse the reader’s interest and enrich the story line. A good setting implies how the characters feel about their surroundings and how that environment contributes to their interactions at the time. My writing style includes constant editing as I develop the first draft. When I write a scene that is not quite right, I usually realize it. I’ve learned to fix the problem as soon as possible. When I start a day’s writing session, I read the product of the day before. Then I fix the things that are bothering me before moving forward. Ann Streetman: The book is titled Her Man in Sorrento because Sarah and Nathan meet there and the Amalfi Coast is so much a part of who Nathan Ferrari is. The title is in keeping with my niche of novels set in places I have loved to visit. Ann Streetman: I hope the readers come away believing two imperfect people in their own world can love each other enough to find their way forward together. Ann Streetman: The characters and events are solely the creation of my imagination. IAN: How is Her Man in Sorrento different from others in your genre? 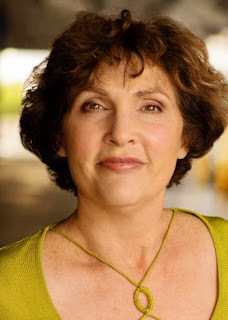 Ann Streetman: I have carved out a small niche of romance with an international flair. Many of my readers may not be able to visit the places I write about. Perhaps my books can take them there. 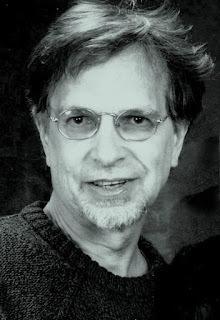 The joy of forgiveness and redemption are recurring themes in my books. I am by no means the only romance author who embraces those themes, and I salute others who do. Ann Streetman: My next book is not a sequel to Her Man in Sorrento. I have written one series Love on Life’s Zip Line, and I did enjoy writing it. I hope IAN readers will check it out. As for the next book, there’s only one thing I can tell you now. The characters will be imperfect people with the courage to find their way forward, whatever their circumstances are. When the IAN readers put down that next book, they will know that chivalry and love tested by real life are alive and well in my books and in my life. 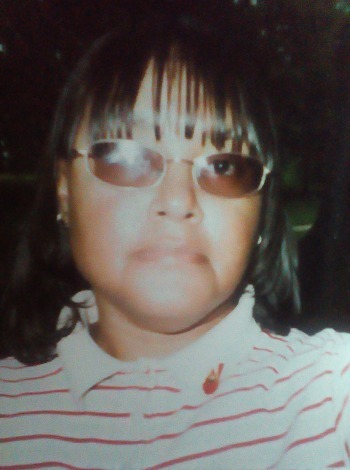 I am a Registered Nurse, Author, Poet, Medical Assistant and I have diplomas from Correspondence Schools in Wildlife and Forestry Conservation, Parapsychology, & Animal Care Specialist. I love reading books, traveling, hiking, writing poetry, and love animals. IAN: Please tell us about your latest books. 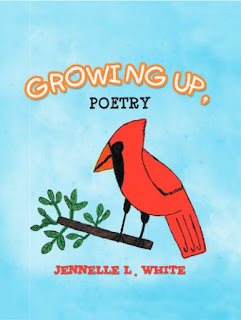 Jennelle White: I am the author of two books: Growing Up, Poetry and Easiest Short/Long Term Plan For Saving Money. Growing Up, Poetry is about a collection of 46 whimsical poems with pictures that captures that Spirit of Youth. Seeing the world through youthful eyes. For ages 2-7 years old, although adults like the book also. One can experience the joys of childhood and gives everyone a a sense of peace & happiness. There are poems about a puppy, a kitten, stars, the seasons, and many more. Similar to the MG nursery rhymes. From HomeSchooling Library " it's the perfect introduction to poetry for little ones." Easiest Short/Long Term Plan For Saving Money. it's been said to pay yourself first, at least 10% of your earnings. The problem is that most people may not be able to set aside 10%of their earnings, let alone 20%-30%. My book teaches people, based on your pay schedule, a much easier and better way to save money. Easy to understand as uses basic math and benefits everyone. You don' t have to be a financial guru to use this plan. Not about investments. From Blue Ink Review - "Out of all the PF books out there on the market, Jennelle White's money savings plan book has the most truthful title." Based on only two steps. 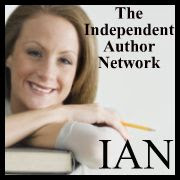 IAN: What formats are your books published in? 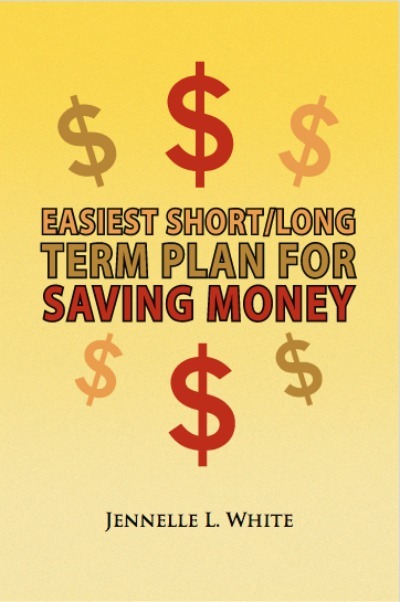 Jennelle White: Easiest Short/Long Term Plan For Saving Money - is available as paperback and Ebook. Growing Up, Poetry is a hardcover book. Jennelle White: For my money savings plan book- I thought how could I come up with a plan that people can save money regardless of their debts, income, job, and location? I had a dream, got up the next day and wrote it down on paper, then made it into a book. For my children's picture poetry book - As I young child I always loved reading the Mother Goose Nursery Rhymes so I was inspired to write poems that children could relate to. Jennelle White: No, I did not use an outline. I just wrote down the words as they came to me especially with my children's poems. Jennelle White: For Easiest Short/Long Term Plan For Saving Money - I came up with this title because it is the easiest money savings plan for both short term and long term savings. For Growing Up, Poetry - I came up with the title because of my love for nursery rhymes as a child and have experienced life events mostly at the parks I visited when younger and now. Several of my poems are about things I observed in the parks, playing outdoors when I was little, and it was the reason I chose the title - Growing Up, Poetry for my children's book. Jennelle White: All of it. Jennelle White: I love all types of books but I have to say the comic books especially the ones about the Super Heros and The Archies. I love self -help books and books about ghost stories. Also, religious self- help books. Also other books that were inspiring to me are books about animals, nature, Walt Disney books, and Sesame Street books. IAN: If you had to do it all over again, would you change anything in your books? Jennelle White: No, I would not change anything. I am quite happy with the way my books have turned out. Jennelle White: Yes. My interest in writing started when I was in Junior High School. My teacher gave our class a project to make a poetry book of some of our most favorite poems and two of the poems had to be created by each student as their own. My teacher asked if she could keep my poetry book but l told her "no" since I had worked hard on it and got an A as my grade. She commented on how much she loved my class poetry book. This was the beginning and I was inspired to become a writer when I became a little older. Jennelle White: I designed the covers for both of my books. Also, I drew all the pictures in my children's picture poetry book - Growing Up, Poetry. Jennelle White: Yes. Regarding my book: Easiest Short/Long Term Plan For Saving Money - For those who are young, if you start out saving money now, the way I've instructed in my book, you will be on your way to a secure savings plan. You will possibly be able to retire at an early age because of the amount of money you've saved. The possibilities are endless using this plan! For middle-aged and older adults, using my plan can help you to save for retirement and for an awesome vacation, one that you may have always wanted to go on. Regarding: Growing Up, Poetry - my book will leave both children and adults with feelings of peace and happiness. Poetry has been known to decrease stress in children. It would be a wonderful edition to your children's library. If you liked Mother Goose nursery rhymes as a child then you'll enjoy reading this book as well as it's similar to nursery rhymes. Jennelle White: Eventually, I would like to publish another poetry book, children's book, and a scary story based on true events that I experienced. Christine Evelyn Volker became intrigued by foreign cultures at an early age, which propelled her to study Spanish, German, and Italian. After securing a BA in Spanish and an MLS at University at Albany – SUNY, followed by an MBA at UC Berkeley, she was drawn to international banking and became a senior vice president at a global financial institution. Her career brought her to Italy, where she immersed herself in the language and made frequent visits to Venice. Venetian Blood, marking a return to her roots in the humanities, just won the Sarton Women’s Book Award for contemporary fiction. She is currently polishing her second international mystery, this one set in the rainforest of Peru, an excerpt of which was a finalist in the 2018 San Francisco Writers Conference Contest. Christine Evelyn Volker: Struggling to forget a crumbling marriage, forty-year-old Anna Lucia Lottol comes to Venice to visit an old friend―but instead of finding solace, she is dragged into the police station and accused of murdering a money-laundering count with whom she had a brief affair. A US Treasury officer with brains and athleticism, Anna fights to clear her name in a seductive city full of watery illusions. As she works to pry information from a cast of recalcitrant characters sometimes denying what she sees and hears, she succeeds in unleashing a powerful foe bent on destroying her. Will she save herself and vanquish her enemies, including her darkest fears? A captivating tapestry of love, betrayal, and family. Venetian Blood is the story of one woman’s brave quest for the truth—before it’s too late. IAN: What inspired you to write Venetian Blood? Christine Evelyn Volker: My visceral love of Venice combined with a painful period in my own life, resulting in my intense desire to tell a story and leave a mark. That’s how Venetian Blood was born. Christine Evelyn Volker: The first draft took off, crashed, was dusted off again, retrofitted, and I ultimately learned how to fly. Not using an outline meant doing it the hard way. IAN: How long did it take to write Venetian Blood? Christine Evelyn Volker: If I were to have consistently worked on it—around six years. Life and love intruded, the manuscript was put in a drawer, taken out again, changed, put back—you get the picture. That added 20 years. This speaks to my persistence. 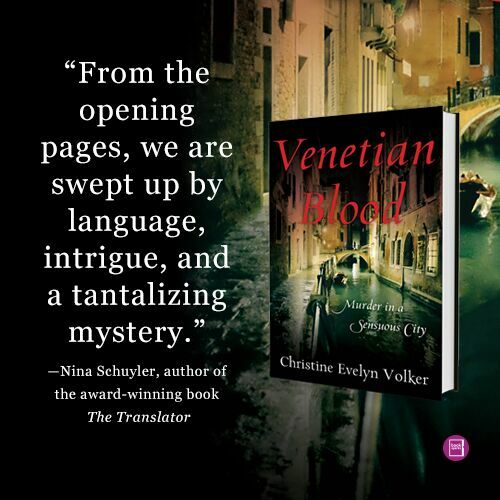 Christine Evelyn Volker: The book’s a murder mystery taking place in Venice, Italy, so blood is spilled, and it’s Venetian blood. There’s at least one other interpretation—you’ll have to read the book to figure that out. IAN: What do you hope your readers come away with after reading Venetian Blood? Christine Evelyn Volker: Appreciation, and maybe even love, for the miracle of Venice and its history. (Imagine, Venice was a republic for one thousand years!) But more importantly, I hope readers gain insights into characters and cultures different from their own, the need for equilibrium, and respect for all creatures that share the earth. IAN: How is Venetian Blood different from others in your genre? Christine Evelyn Volker: Generally, mine has more complexity and nuance. It’s a mystery within a mystery, which includes a protagonist, Anna, whose life is hanging in the balance. She has a big backstory which pervades her disastrous vacation. The setting is not just the mention of a few place names and menu items, but a site appealing to all the senses, one that has a rich past, and is almost a character. I use setting to foreshadow, reflect moods, add mystery, romance, and immerse the reader in the location. This also includes liberal use of Italian. Christine Evelyn Volker: Yes, and traveling to the setting of my books is a delight. I’ve been to Venice at least 12 times, mostly when I lived in Milan. I absorb the location – like osmosis. For Jaguar Moon, my next book, I’ll need one more trip to Peru to make sure I’ve gotten everything right. Christine Evelyn Volker: Thank you for taking time to read my work. I’m grateful that I can share my imaginary worlds with you. I hope you enjoy the journey! Christine Evelyn Volker: I’m currently polishing Jaguar Moon, a stand-alone international mystery taking place in Cusco and the Peruvian Amazon. In 1993, thirteen-year old Marisol and her younger brother, Raul, escape from the family home in Peru the year after a coup, and flee for their lives. They enter the United States illegally and will live with an aunt who adopts them. More than a decade later, Marisol returns to Cusco, intent on discovering what happened to her parents, and reconnecting with her grandmother. A journalist, like her father, she’s assigned a story about the Amazon rainforest, but the photographer working with her goes missing there. Marisol’s dangerous journey takes her through the cobbled streets of Incan Cusco, to the winding Sacred Valley, to the lushness of the rainforest and its dark secrets. Exploring the far corners of her country, grappling with nightmares, facing the plight of native peoples, will she be as fearless as her father in seeking the truth?